ooh la la, in celebration of YOU . . . it's giveaway time. I love reading the blog and listening to the podcasts (I am just getting ready to listen to this week's)! Thank you! I'd love to enter this giveaway. 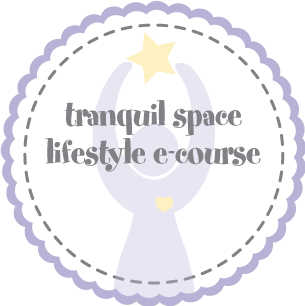 I love your blog and draw so much inspiration from your posts and podcasts (as well as from practicing at Tranquil Space!). this is my favorite blog. reading this blog and your books, listening to podcasts... it has brought out my inner goddess.. i have emerged! i am woman, and hear me roar! :) thank you, kimberly. You and the community you build have brought such light, inspiration and deep connections to myself and to others. Thank you for showingup as you fully in all you do and thus giving us permission to strive for the same. Kimberly, thank you for your giveaways! Very generous indeed! My tranquil tip (after all, it is #TranquilTuesday):After just meeting with a client, we talked about the power of connecting with the small yet great things in life. Sometimes our stress blinds us and we forget the positive things that are going. Just making note of them (perhaps writing 3 good things a day, or art journaling your gratitude) can make such a difference. It takes us out of the worry mindset, into a more positive place of harmony and happiness. Kimberly, I thought this was a good time to let you know that I'm finally ready to explore self-employment opportunities and take a huge leap towards a more creative life. I'll be signing up for your business e-course soon! Thank you for being such a sparkly light of encouragement every time I listen to your podcast and read your blogs! You have been a real inspiration in opening my own massage practice, to give my city my own brand of sparkly goodness!! Wonderful giveaway! Thanks for your lovely blog and podcast and oodles of inspiration that you provide! You come up with the best ideas!! I love your creativity. Oh, how I would love to get this:) In all seriousness, I love your blog, such a dose of inspiration, kindness, and sparkle! I love your blog, your Podcasts, your books - such an Inspiration. Thank you! I have been addicted to your blog and have started reading all the wonderful entries beginning with day one! Thank you for creating such an amazing and inspirational resource! 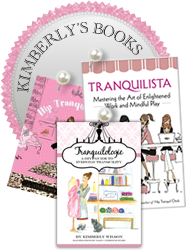 Hey Kimberly - So excited for your upcoming adventures and tranquility tour! Can't wait to follow along. It is an inspiring to see you finally making the time and taking a cross country trip which you've thought about for years! My little dose of Tranquility: "Someday is not a day of the week"
What a lovely give away. Thank you so much. Always look forward to your blog. I have been reading for a while and following on facebook. Everything you share is so lovely, and I'd LOVE a shot to win these gorgeous items. 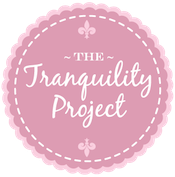 I just found this blog and it looks beautiful - it does have a very tranquil feeling. I also love the things you are giving away. thanks! I love everything you do--you and TDJ are a real inspiration to me. Anyone looking for little tranquility breaks throughout the day should just reread your blog from the very first one...I'm on my fifth time around now and just leave a page up on my phone's Safari for anytime I need a little dose of tranquility and inspiration (waiting at the doctor, in the car, in line, etc). I'm glad you finally found a vintage camper! My boyfriend and I are looking for a VW Camper and can't wait to find the perfect one for mini-trips! 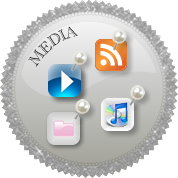 Kimberly your the best love the blog and have taken two of the e-courses .Love the giveaway!!! Love your site. You are helping me find my center. Thank you for sharing this giveaway opportunity, Kimberly. The pink evokes spring, cherry blossoms and azaleas. Thank you so much for the transformative yoga + meditation last Thursday. Tranquility Tip - When I am in a meeting and feeling bored, I practice 3-part breath. Love note: J'adore cette jupe! Tranquility Takeaway: Every day, practice the three P's ~ Present, Patient, and Playful. I started doing this primarily in my mothering role (six year old boy can be crazy-making!) and now I try to apply it to every area of my day. So far, it's working! I think I have most of the things listed, but can use more of your wonderful stuff :) Thanks for being awesome! you're such an inspiration to me. thanks for teaching me how to sparkle! I could not complete the April challenge because of San attack of vertigo...would love some more tranquility here! Kimberly & this blog have been such a source of inspiration for me I can't even start to say! oooh i would jump to the moon and back if i would win hehe.. this is so generous of you!! I would love the daybook in its original version hehe.. 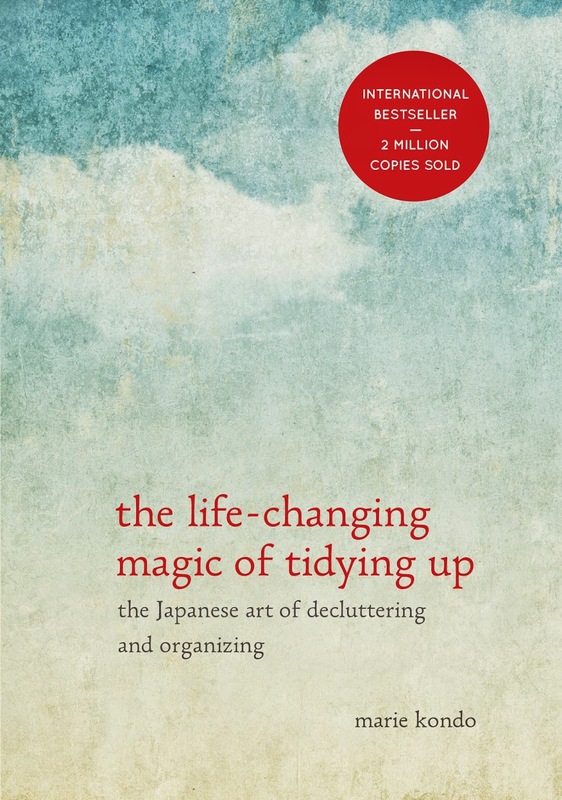 I was first introduced to Tranquility du Jour when I found your book at my local public library. I have been following the blog and pod casts for many years. After visiting your site I always feel more inspired to do go and be kind to both myself and others, you are truly an inspiration. Tranquility tip resonating with me today: dark chocolate (like 80 or 90%) has a shorter half life than caffeine in your system, so if you need a mid-day energy boost, nibbling on the chocolate can help without keeping you awake at night. For we meet by one or the other." If we lived with this reminder, relations would become much more tranquil it seems to me; choosing peace. Thank you for doing a giveaway, Kimberly! J'adore your blog and podcasts - so much inspiration! Love the Blog. I hope to meet you on the tour this fall. Happy May! Good Luck everyone! My favorite podcast is actually one of your first. I think it was your first holiday season where you did a series of tranquil yin yoga poses. A LIFESAVER when things get busy and crazy. Tranquility tip: I use apps to keep on top of my calendar, correspondence, and to-do list so I don't get frazzled! My favorites are Mailbox, Clear, and 30/30. I love all the things you do. You are such an inspiration. FUN! So excited about your tour!! Over the years, the interviews and musings on your podcasts have continued to inspire me. Thank you for them! Tranquility tip: don't wait for something good to happen to you to do good in the world. Love your sparkly doses of inspiration!!! Oh yay! Another adorable contest!! Can't wait to see you on tour! You've been my inspiration for years and will continue to be for many more. Kimberly, I so enjoy your podcasts and blog. Thank you and keep the inspiration coming. Kimberly- I'm waiting eagerly to find out when and where the TT will be coming to Canada! Love your podcasts. They brighten my Sundays. I am always so grateful for the tranquility, peace, and perspective your studio and online community provide. I feel especially lucky today because I was able to sneak out of work early enough to make a yummy yoga class with Anu. Cheers to midweek delights! What a generous give away! Would love to win. Love reading your blog, listening to your podcast, admiring your photo's.Thank-you for being such an inspiring person, and bringing some sparkle to the world. I love your blog and everything you do! Thanks for giving so much of yourself to the world. yay to giveaways!! <3 loving your new camper. you will have to show us everything you do to make it tranquil and pink and adorable! Kimberly, i have been a loyal fan of you and your blog and your TranquiliT line for years and years! You have inspired me and my life (which trickles down to every single person i meet) in so many ways...from your creative inspiration, to your "off the mat" ideas and doses of tranquility that we can share with the world...You are an inspiration in all ways. You are beautiful inside and out and i am blessed that in some small ways i get to take part in this wonderful mission that you are on. i look forward to many more years of reading your fabulous blog and wearing your incredible clothing line (which my hubby and friends just can't stop touching and always compliment me when i wear pieces)...thank you for everything you bring into the world! thank you, for being you! Love this blog and daily dose of inspiration! What a gem of a blog this is, Kimberly! Thank you for putting out a little more tranquility into this world and leading by example, I might add. And a Parisian skirt, just too much! Kimberly, I love your philosophy on life--thanks for sharing it with the rest of us. 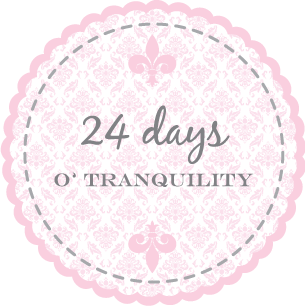 My tranquility tip is simple: remember to breathe. This would bring a much needed dose of tranquility to my new life in Upstate NY. How I miss you, Tranquil Space and all my dear friends there! 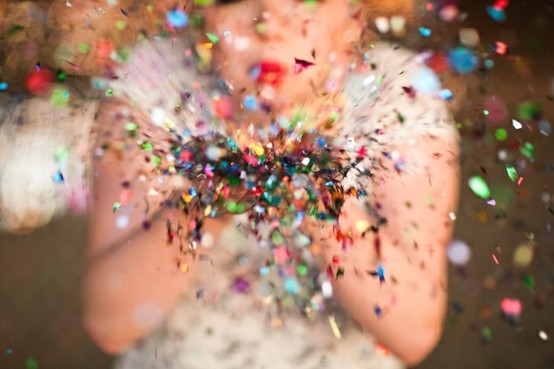 I love the blog - thank you for sharing your lightness of being with all! Namaste. Thanks for being such a sparkly beacon of love and light! Just recently, you've inspired me to dive back into my mindfulness practice and to start planning my next trip to Paris. Mercie beaucoups! kimberly, i have been inspired by you and your podcast, blog, classes, yoga, and TranquiliT clothing line for years now. everything you do is mindful and it shows. there is always something new and fun to check out (tranquility tour, anyone?) and i appreciate that you put forth your time and effort to give to so many others! Means that "Everything Begins Today". What a lovely giveaway, perfect for Mother’s Day coming up! I love listening to your podcasts, so inspiring! That skirt is fabulous! I just finished listening my way through your podcast archives. So much juicy inspiration! Thank you! I've been reading your blog for 3 years now, and it has helped me find tranquility through a lot of transitions. Thank you! Thank you! Thank you! I read Tranquilista a year or so ago and fell in love. Always searching for a way to honor myself more. Thanks for hosting a great giveaway. I love your blog and style! Such a great mix of calm and class. And I'm always blown away by your weekly reviews.